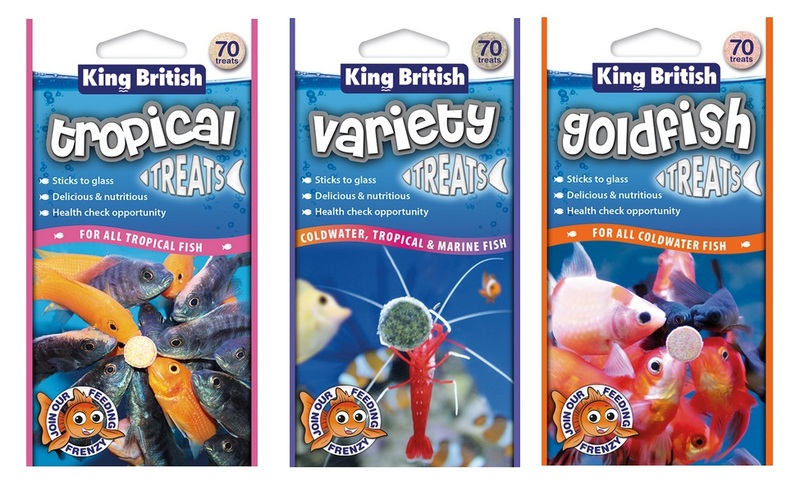 King British Treats are a healthy and fun snack for you to feed to your aquarium fish. The compressed discs can be stuck to the glass inside the aquarium. Once in the water your fish will react well to the treat and it will turn into a feeding frenzy which will bring even the shyest of fish to the front to feed. Each pack consists of approximately 70 treats. The Variety Treats are suitable for coldwater, tropical and marine fish, the Goldfish Treats are for all coldwater fish and the Tropical Treats are for all tropical fish. There are currently no questions for King British Treats for Aquariums - be the first to ask one!